Fairytale Bedroom Set for Sims 4 toddlers is based on popular Woodright Fairytale Kidsroom furniture of real life shown below. I re-meshed the royalty free 3D models of Woodright's interior collection to make them playable in Sims 4. 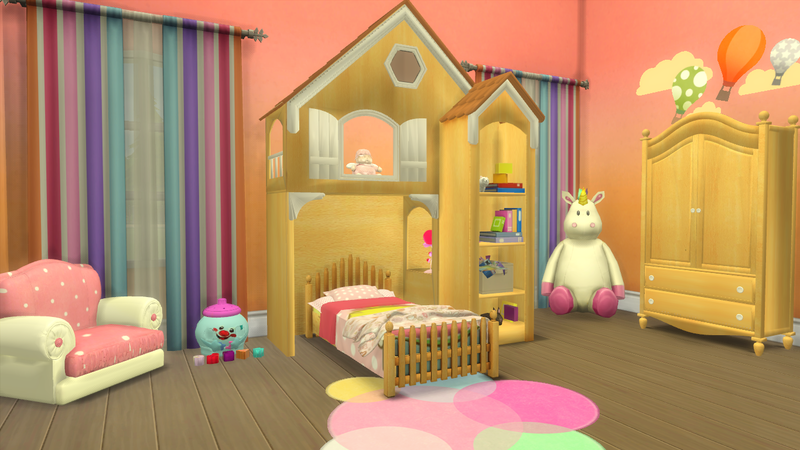 Disclaimer: Severinka has also used Woodright's Fairytale Sweet Home interior collection for her Dollhouse Kids Bedroom set for Sims 3. I didn't clone or use Severinka's meshes in any way. 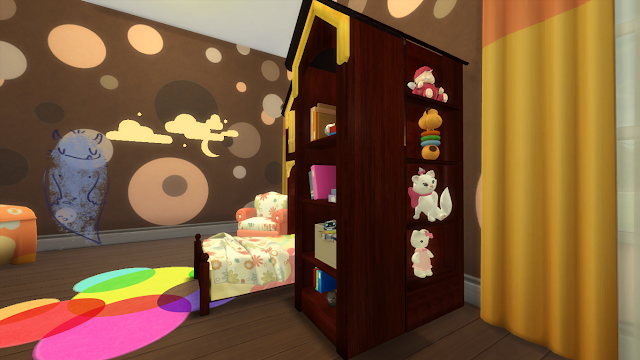 I used the royalty free 3d models directly from Woodright's children room interior collection. 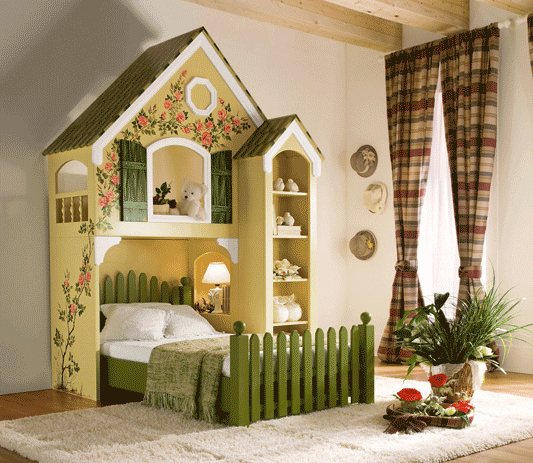 Fairytale Bedroom Set contains 9 objects- toddler bed, blanket, pillows, table lamp, arm chair, bookcase, toy shelf, dresser, and bedside table. The bedroom furniture primarily have three wooden texture- dark wood, plywood, and white wood. 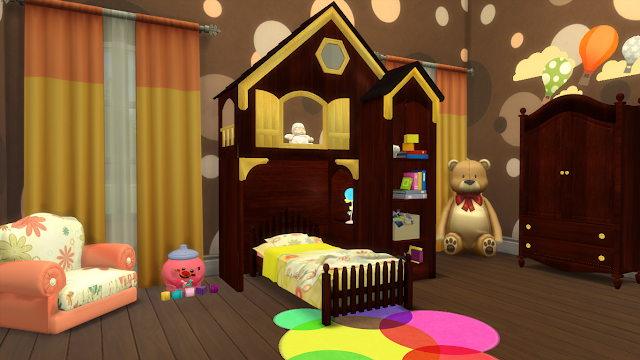 You have to attach bed, blanket, pillows, bookcase, toy shelf, and bedside table together in game like below pictures. You don't need 'moveobjects on' cheat to attach these objects, and they function correctly after being attached together. The color variations of all the objects are shown under the object description segment of this post. The download link and install instructions are given at the end of this post. 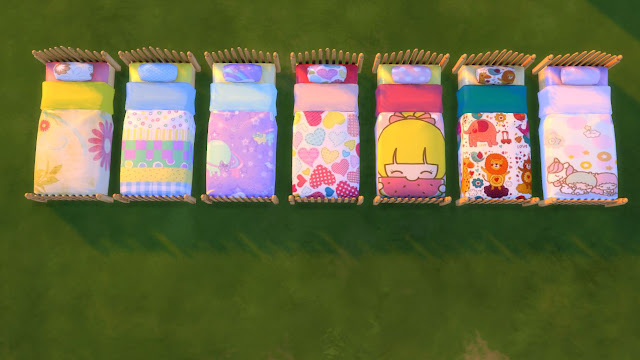 Toddler Bed has total 21 texture variations including- 3 wooden bed-frame texture and 7 bedding texture. 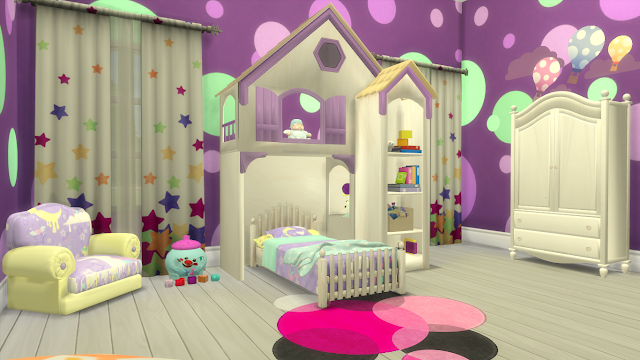 It is listed under Toddlers in Buy Mode. 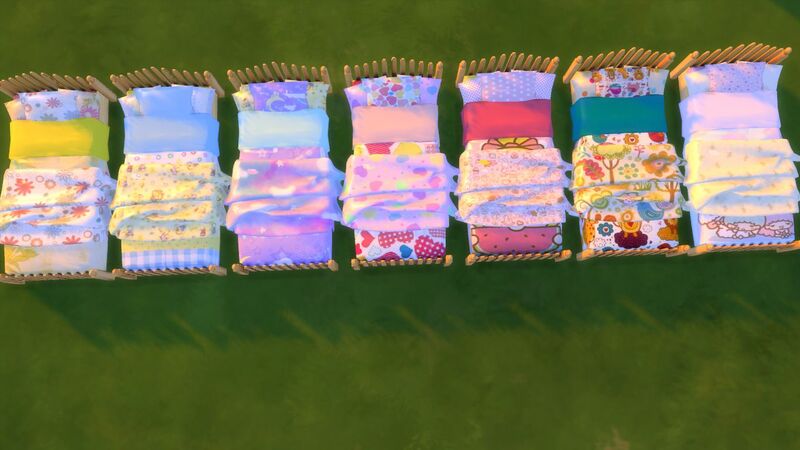 Blanket has 10 texture variations & Pillows have 8 texture variations . Both of them are listed under Decorations> Plant in Buy Mode. Your toddler Sims can sleep on pillows without their head getting buried under the pillows!!! Bedside table has a shape of dollhouse with 5 texture variations. It is listed under Surface> End Tables in Buy Mode. Bookcase has 5 texture variations. It is listed under Toddlers in Buy Mode. 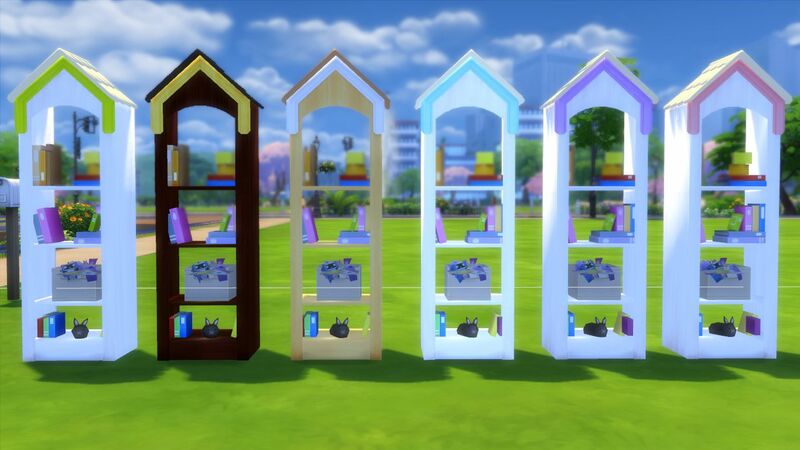 Toy shelf has 3 texture variations. It is listed under Surface>Shelves in Buy Mode. 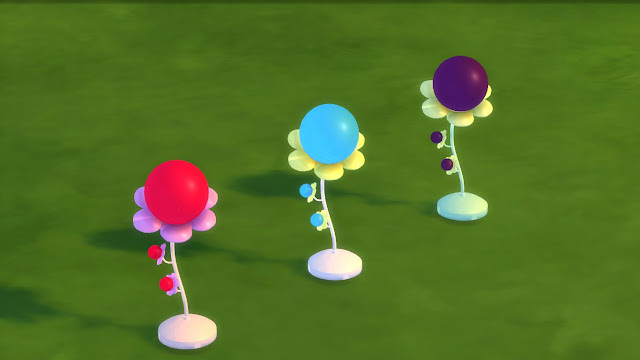 Table lamp has 3 texture variations. It is listed under Table Lamps in Buy Mode. 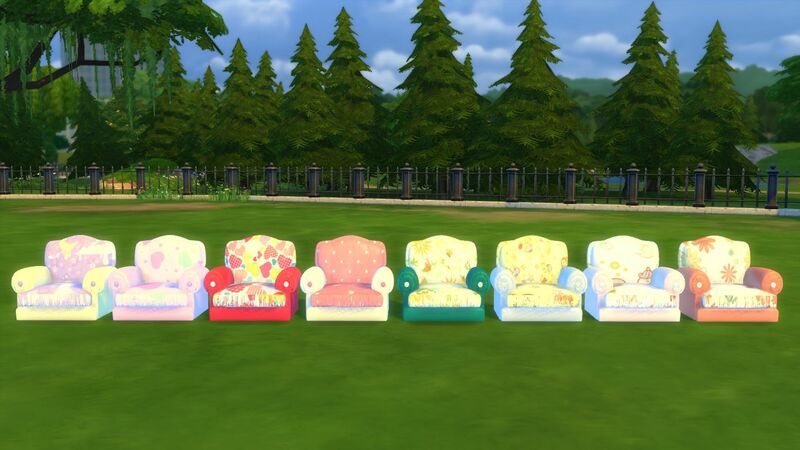 Arm chair has 8 texture variations. It is listed under Toddlers in Buy Mode. 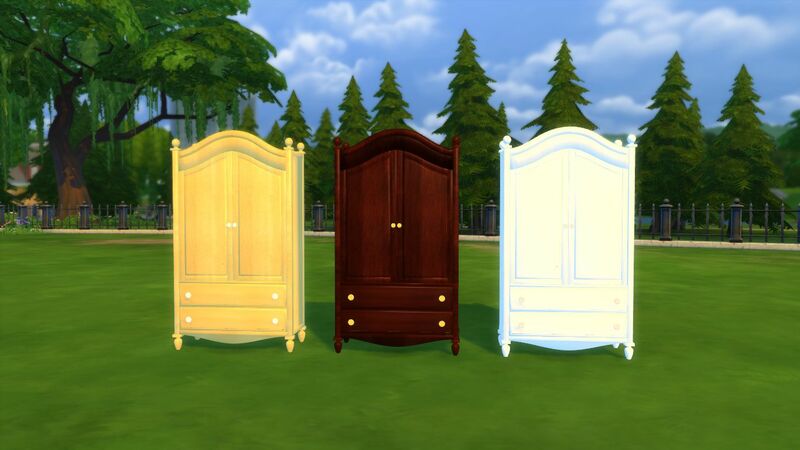 Dresser has 3 texture variations. It is listed under Dresser in Buy Mode. For installing this set in your game, extract the downloaded zip file, and copy all the cc package files in the extracted folder to My Documents>Electronic Arts>Sims 4>Mod folder. 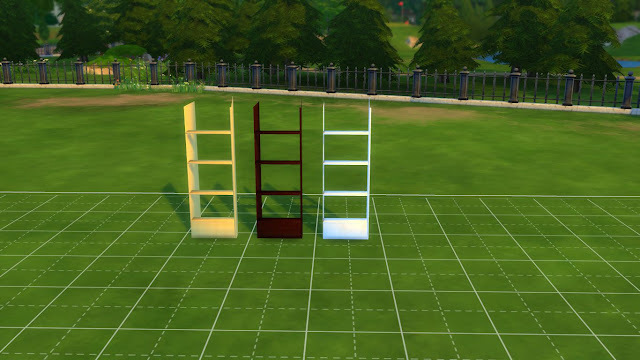 Then start your Sims 4 game, you will find the objects in their respective category. You can also search with the term "Fairytale" in buy mode, and all the objects under this set will show up. 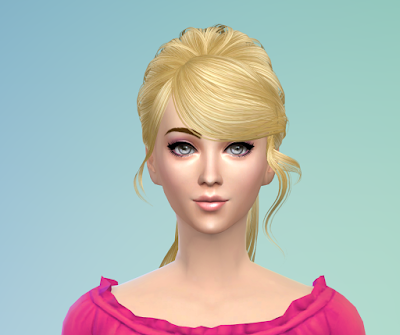 You can recolor any of my cc you wish as long as you use the "Standalone Recolor" feature in Sims 4 Studio program. You're not allowed to include my original mesh with your re-color or re-upload my cc mod files in your re-colors.This means people need to download and install my original cc to use your re-colors of my cc.When posting your re-colors of my cc to your blog/website,simply let people know in your post that they've to download and install the original objects to use your re-colors of my cc and put a link to my blog post of the specific cc of mine you re-colored. Please Do Not claim this set or objects as your own, and Do Not clone and edit the object meshes. Do Not re-upload the set, if you need to share this set just share a link to this post. 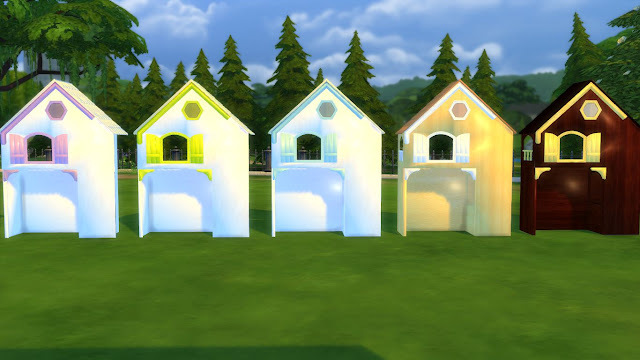 To get a sneak peek of my upcoming cc, you can like and follow this blog on Facebook using the blue Facebook floating button at the right side of this page.